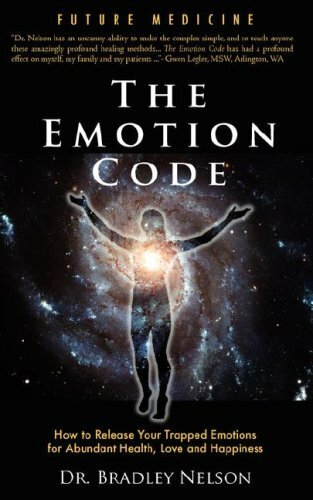 In The Emotion Code, renowned holistic physician and lecturer Dr. Bradley Nelson skillfully lays bare the inner workings of the subconscious mind. He reveals how emotionally-charged events from your past can still be haunting you in the form of "trapped emotions"; emotional energies that literally inhabit your body. Dr. Nelson explains clearly and concisely how trapped emotions can create pain, malfunction and eventual disease. In addition, trapped emotions can exert a dramatic effect on how you think, the choices that you make, and how successful you will be. Perhaps the most important discovery that Dr. Nelson has made is that trapped emotional energies will often gather around the heart, creating a "Heart-Wall" that may block you from giving and receiving love freely. The Emotion Code is a powerful and simple way to rid yourself of unseen baggage. Releasing trapped emotions often results in the sudden disappearance of physical problems, self-sabotage, and recurring relationship difficulties. Filled with real-world examples from many years of clinical practice, The Emotion Code is a distinct and authoritative new work that is destined to become an instant classic on self-healing.